In the summer of 2014, I began to notice the appearance of these small, raised and pigmented spots on the temples of my face. Due to their location, I could hide them easily with a bit of foundation and conceal their presence with my hair. I’d mistakenly believed that their existence was genetic as my mother had similar spots in the same locations too. Over time I had completely forgotten about their existence. All this changed in the early months of 2018, when these spots started to appear all over my face, especially on my cheeks. Covering it with concealer helped hide their pigmentation but I couldn’t cover the fact that they were raised! This began to bother me more in the summer, when I usually prefer wearing less makeup. 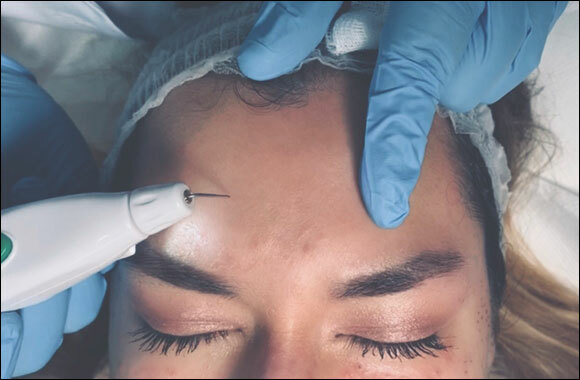 In November 2018, I decided to visit Dr. Olimpia Carmen at The Wellbeing Medical Center in Dubai as I had heard glowing recommendations from friends and family. Upon examining my skin, I was told that the small pigmented spots were in fact benign skin lesions (the technical term is Dermatosis Papulosa Nigra). The doctor assured me that I had nothing to worry about and that I could get them removed via laser therapy. I was elated to hear that I could finally get rid of them and decided to go ahead with the treatment involving laser. To prep my skin for the removal of the spots, the nurses applied topical anesthetic onto my face for 20 minutes. 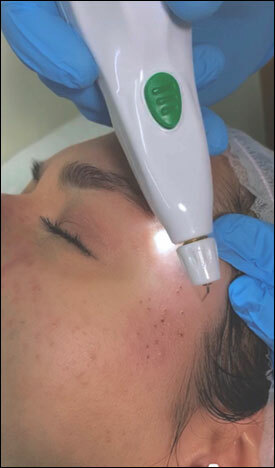 Shortly after this, Dr. Olimpia Carmen began the removal process with a Plasma Pen. To my surprise, the laser itself didn’t hurt much at all! The treatment took nearly 10 minutes. Upon completion, I was left with these small brown spots in areas where the laser was used. For the next five days, I religiously applied the ointment I was prescribed 5 times a day. I was also told to avoid the use of makeup, heat or any harmful chemicals. On the 4th day, I woke up with almost no brown crusty spots as they had all ‘fallen off’! I couldn’t believe that the pigmentation that had bothered me for so long had all gone! I went back to Dr. Carmen to thank her for her wonderful work and to have a quick post-treatment check-up. She mentioned that my skin had healed well and even did a touch-up of any remaining spots. I applied the healing balms for five days and avoided makeup, just as I had done after the first treatment. This took away the last few spots on my face and neck. I’m really glad I was able to get rid of these pigmented spots. I couldn’t have done it without the help of Dr. Carmen and her amazing team at Wellbeing Medical Center in Dubai!